During the autumn, the Paradis mill is bubbling. The first step consists to wash the olives from all impurities. Then they are milled with the pit. The kernel of the pite acts as a natural preservative of olive oil. The olive pulp is now extract by first pression at cold only by a mechanical process, with the centrifugation system. Christophe’s olive oil is decanted until obtaining a pure fruit juice. The ripe fruity : An old-fashioned olive oil with a traditional taste. The Olive oil is produced from ripe olives. It’s sweet and a little bit fiery but without bitterness. It has a black olives fruity taste. The green fruity : An intense and fruity taste in fonction of the olive varieties used. The olives are harvested in the middle of maturity to obtain a single variety olive oils all in nuance with the aromas diversities. 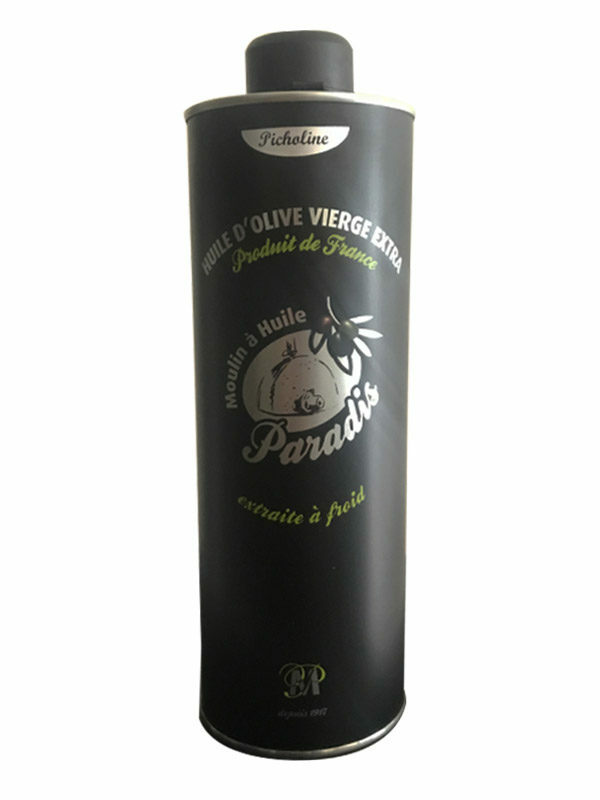 The extraction volume of extra virgin olive oil from the Paradis Mill of Nimes is variable through the years. It’s a Grand Cru olive oil, authentic and obtained by a traditional way. 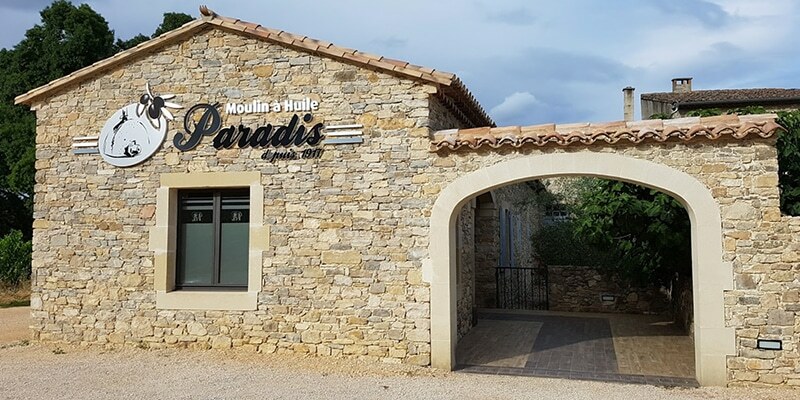 In the farmhouse of the XVI century at Martignargues (a small medieval village of Le Gard), Christophe Paradis perpetuates the familial miller tradition from 4 generations. 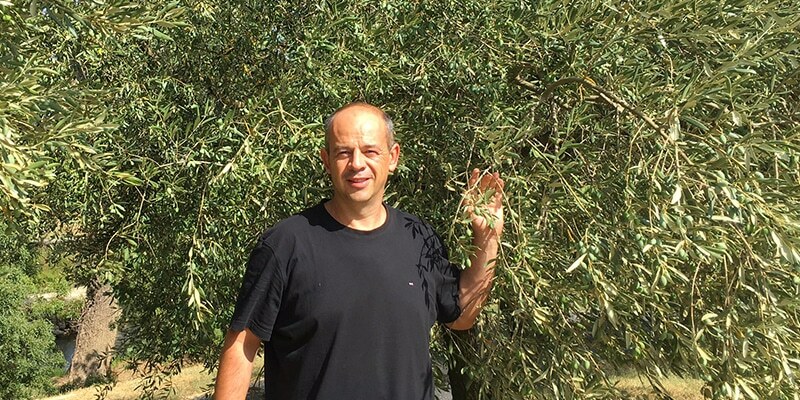 In the middle of his olive trees and vines with for horizon the mountains of Cévenols, Christophe tells with enthusiasm, the expertise of the miller. Also olive grower, Christophe is very experimented. 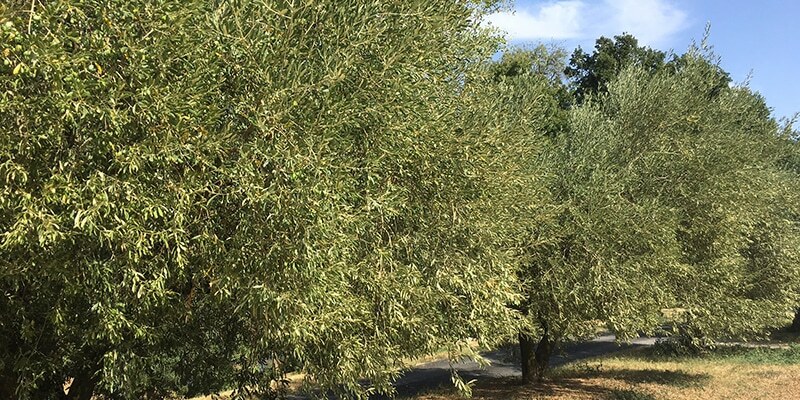 He cultivates with passion his plots of olive trees located in Saint Maximin in Le Gard, close to Uzès. 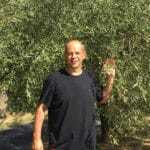 The picking of olives are done on the tree, and carefully selected before the pressure. 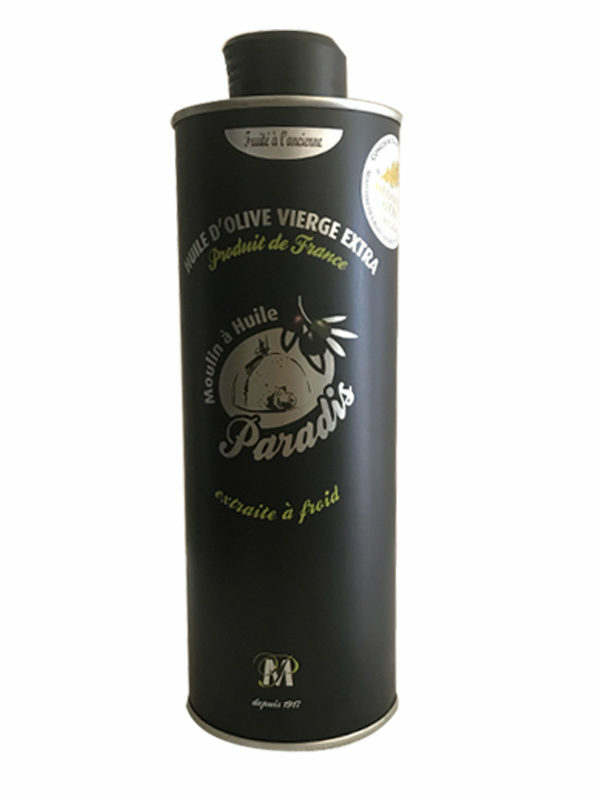 The diversity of varieties of olives typically Gardoises, allows Christophe to produce some extra virgin oils from Nîmes with the old-fashioned way and some single variety olive oils which offers all the savors related to the variety of their terroir. 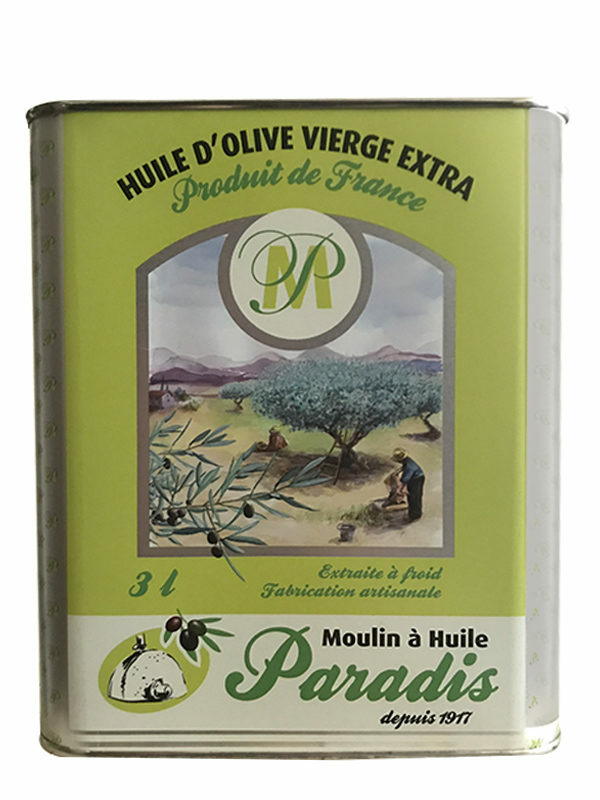 This work on the gustatory quality of the Moulin Paradis’s olive oil were rewarded by several medals obtained at the general contest of Paris since 1998. Picholine : Dominant variety of Le Gard. A fruity olive oil with artichoke tastes, creamy, « round in the mouth » with a hint of bitterness and fiery. Negrette : Precocious black little olive. A delicate olive oil, sweet « long in the mouth » with a light peppery return. L’aglandau : Very delicate, perfumed and equilibrate, fresh in the mouth. The assembly of those varieties allows Christophe to produce an extra virgin oil, with the fruitiness of the old-fashioned way and a PDO from Nîmes. He also produces a single variety olive oils which conserves the savor of their variety. 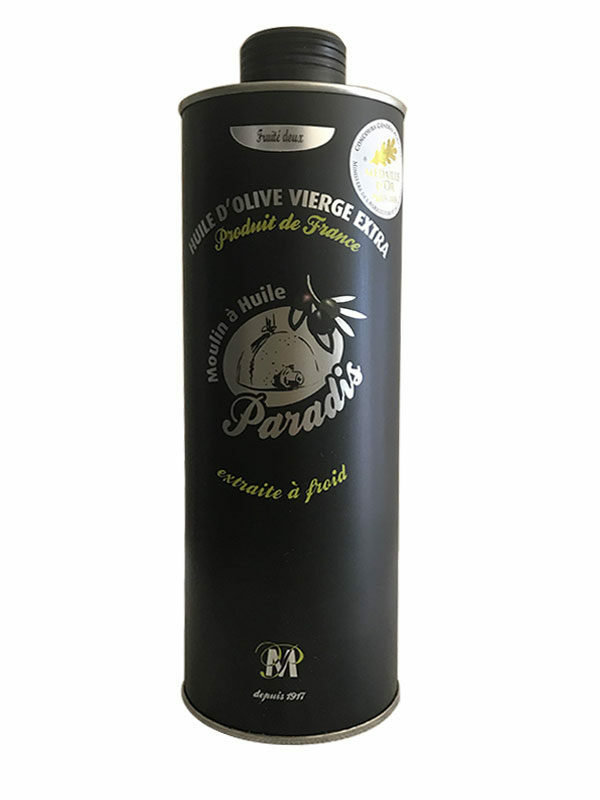 The extra virgin olive oil “old-fashioned fruity” with a traditional taste very typical of the Ripe olive culinary variety from Le Gard (Picholine, Negrette, Bouteillan, Aglandau). A black olive taste very pronounced. To discover absolutely in Provençal receipts of: Ratatouille, pesto soups … But also with quinoa salads, chickpeas salads, old soups and mash potatoes, pastas and meats. 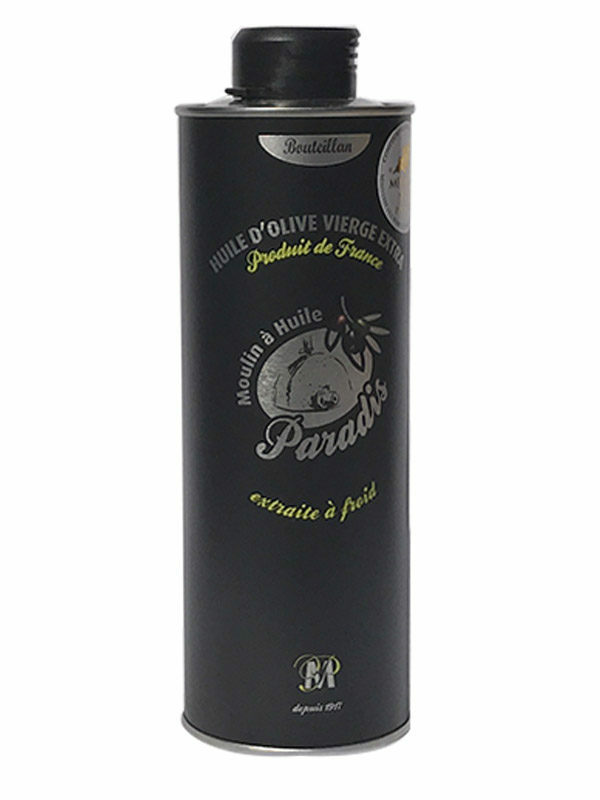 The Extra Virgin olive oil Bouteillan: Green fruity with an intense taste. A delight with the sensation to eat a strand of fresh herb. 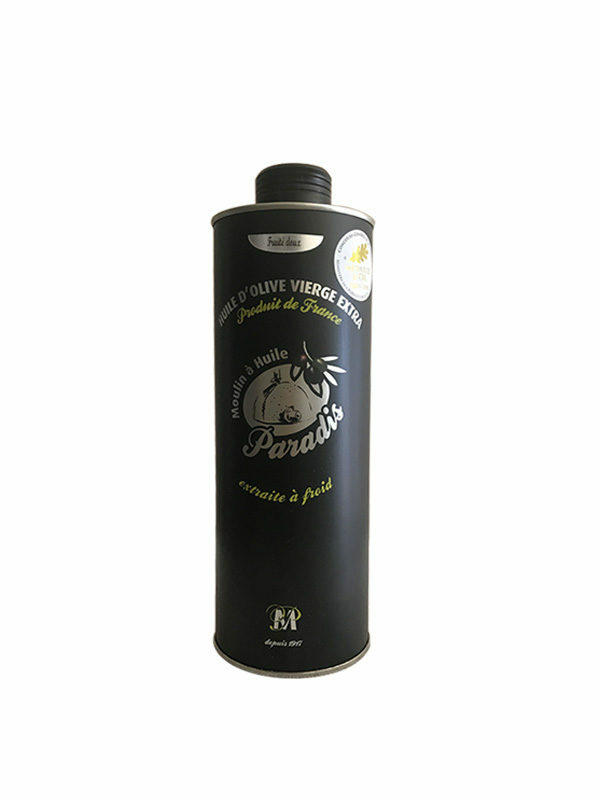 A delicate olive oil single variety, herbaceous and vegetal. To sublimed salads, raw vegetables, salads and fish. 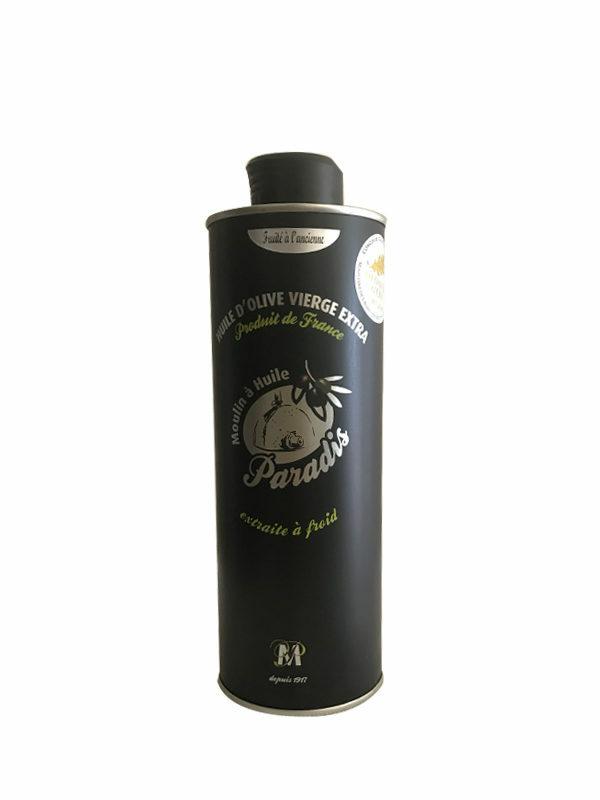 The Extra olive oil Aglandau: Green fruity with an intense taste. A very delicate olive oil, perfumed, fresh and equilibrate. Fluid in the mouth. An elegant green fruitiness, lightly peppered. To give vitality to cold entries, velvety vegetables, dry vegetables and poultry. Find the position of the production who join La Compagnie de l’Huile d’Olive.